When I started doing some family research, I found that two of my great, great grandmothers were Cherokee Indians, of which I’m very proud. There is such a sense of wonder and interest for me when I think about the role of Native Americans in our country’s past and present. I love Indian art, music and stories and enjoy exploring Indian culture as much as possible. 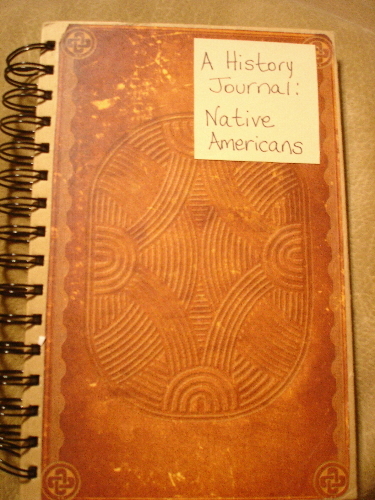 This journal is to celebrate that culture! Use any medium you’d like, just don’t alter someone else’s entry. Much work and love goes into creating new journals It’s so sad when one goes missing or is kept by someone other than the creater. Please pass the journals along!! When full, please return to: jfit, Jenny Stafford.